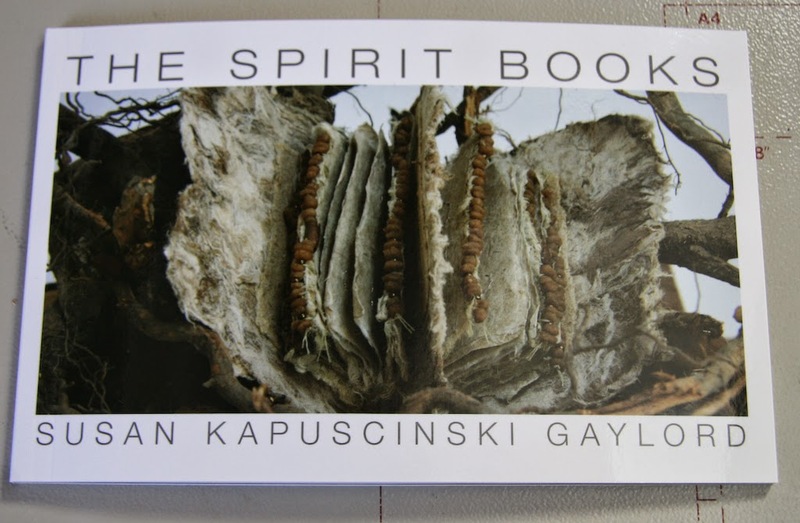 The best way I can describe my reaction to finally holding a copy of The Spirit Books in my hands is to tell you about a TV show I love—What Not To Wear. During each hour-long episode, Tracy and Clinton would supervise the makeover—clothes, hair, and make up—of a subject nominated by her friends and family. It was almost always an emotional roller coaster for the person. I sympathized totally, especially with the ones who, at the end, were stunned and slightly unhappy. They looked fabulous and yet they couldn’t make the adjustment from their old comfortable looks to their new wonderful ones. That would have been me. 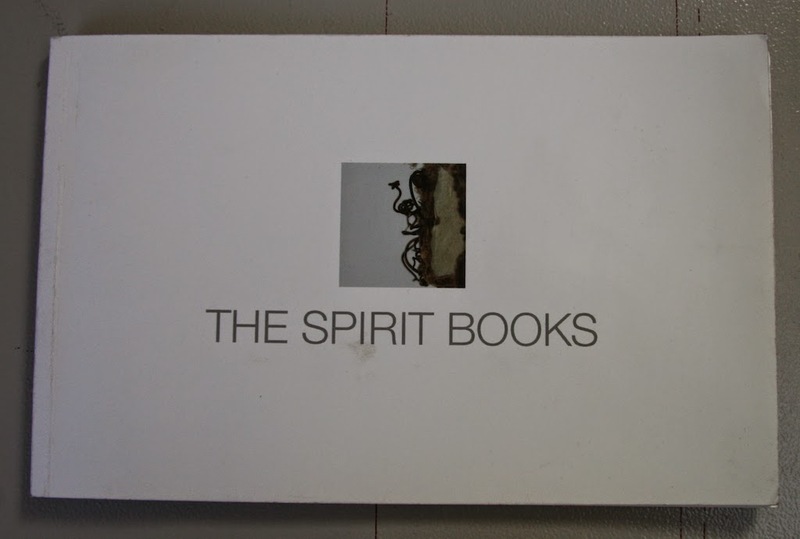 I have had a sample of The Spirit Books that has been my reference and show-and-tell piece for a little over a year. 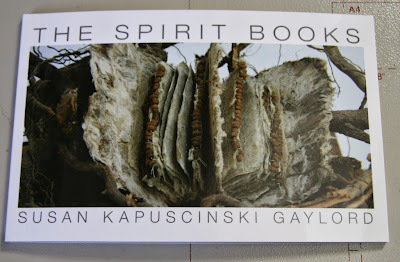 I had it printed online through HP MagCloud which is now owned by blurb. As I have shown that one book around, people have been impressed by its quality for a POD book but it does not compare to the new offset-printed book that I now hold in my hands. For starters, the cover is a new design. My initial thought for the book was to have a very subtle cover—a large expanse of white with a detail from one of the books and just the title. I liked the idea that the cover was quiet. As the book opened, the Spirit Books would be revealed. Once my first viewers (my family) saw the printed book, they emphatically informed me that I should think differently. The cover is what makes people want to pick up the book and open it in the first place. I still have soft spot for my plain and simple cover even though I’ve been sharing the new cover all over the place for close to a year. Here’s what else is different: the images are sharper and the gray text is no longer slightly broken. It is in every way a better book. The new book is also crisp and clean. It has not been carted around in my bag for a year. It has not been opened and closed countless times. It is not yet worn and not yet a part of me. I like it better today than yesterday. I expect to love it by the launch next weekend. Oh this is so exciting, congratulations! I totally get it (and I love the quiet cover as well). I can't wait to hold it in my own hands! I've been a fan for years but your books have only been as close as the Internet. Congrats, Susan, on this new book about your books! Your post reminds me of the buyer's remorse that sometimes follows major purchases. From the photo of new cover, looks like a winner to me! Thanks to all for the kind comments. What a responsibility! Hope the book lives up to your expectations. Never fear! We know what's inside and can't wait to hold this book in our hands ... no matter what the cover looks like!